Drug Development Bootcamp | Speid and Associates, Inc.
What is the training program called the Drug Development Boot Camp®? Someone from the SAS said, "They train you to do certain things, and then you have to do them tired." The Drug Development Boot Camp is a little like that. Come prepared to work very hard. If you want to sit back, fall asleep, and drop in and out of lectures for two days, Drug Development Boot CampTM is not for you." - Dr. Lorna Speid, Founder and Co-chair. The dates for the 2019 Drug Development Boot Camp(R) are 20 to 21 November. The pharmaceutical industry has its fair share of Ph.D.s, and MDs, and yet qualifications do not translate into understanding of the drug development process. In fact, even Nobel Laureate scientists can find the drug development process bewildering. As drug development costs increase, the process of drug development is becoming more and more complex. Those involved with the process of developing new therapeutics (drugs, devices, combination products and diagnostics) must understand the process and be able to navigate it with great skill. These skills are difficult to acquire. At the same time that the process is becoming more complex, researchers and developers are becoming more specialized. The challenge is there is a need to gain a thorough understanding of other areas of research and development in order to be effective in their own areas. The Drug Development Boot Camp® was founded by Dr. Lorna Speid. The 2019 Boot Camp will be the tenth Drug Development Boot Camp®. The Boot Camp is a very intensive training program designed for those that have relevant experience in the research and development of New Chemical and New Biological Entities. This is a very challenging program not only because of the content, but also because of the amount that must be accomplished in two full days. Participants that complete the Boot Camp can be proud of their accomplishment and the Certificate of Completion that they have earned. Prospective participants are interviewed in order to find out their aspirations and goals in taking the Boot Camp. They are also given reading materials so that they can prepare for the Boot Camp. They will take a survey so that the Faculty can gain an understanding of the audience before they attend. Participants the Drug Development Boot Camp® have come from the US, Australia, Belgium, Canada, Germany, Israel, India, the Netherlands, Singapore, Sweden, Switzerland, United Kingdom. “The best overview of a complex industry I've ever been exposed to. Helps to streamline the Thinking process and defines the frame for overall development strategy. “Great course for people new to pharma, biotech. Good refresher for others. “Very interested in computerized model for planning. “So far I have only been thinking about primary PD. This session gave me thoughts on secondary PD. “Think, rethink and challenge myself / others to design "smart clinical trials." Final Session: Sending Out the Special Forces! Need for efficiency in our industry due to the cost of bringing a drug to market. The key major take home message is "Think out of the box." The figures were revealing about the trends - certainly delivering programs is getting tougher, competition for patients is driving up costs and timelines. Great insight into the driving forces around the future directions of the industry. 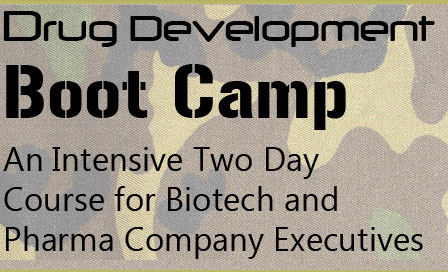 Why Drug Development Boot Camp®? Dr. Speid is a global regulatory affairs and drug development expert. After watching many of her client companies make expensive and avoidable mistakes, she decided to help as many as possible avoid making the same mistakes over and over again. Large pharma professionals involved in silos of drug development, but who want to understand the whole process. This is not an entry level program. It is an extremely intensive training program. It is intended for those involved with R&D of new drugs. If you make drug development decisions on a daily basis, the Boot Camp is for you. A minimum of 5 years of relevant drug research or drug development experience is required in order to be accepted onto the Drug Development Boot Camp® because of the depth and intensity of the program. This is a unique opportunity to be totally immersed in drug development for two days and to mix with a Faculty that has proven themselves by bringing drugs to market, or that has contributed to this success. For this reason, the number of spaces is limited. Wasting huge sums of investors' money on patent prosecution which will ultimately be useless, lead to costly litigation and prevent the asset from finding an appropriate exit. Spend many years and huge sums of money developing a drug or drugs that the market does not want, and will not pay for. Make costly mistakes throughout the development process, which will ultimately cost the company, one's reputation and may even lead to safety problems in those administered the company's products. Experience a lack of direction from the top management team because of a failure to take the time to receive real training in drug development. Clinical hold situations which are extremely costly. Failure to design a clinical program/clinical programs which could lead to registration of the drug. A US-centric approach, rather than a global approach to drug development. This will lead to many problems later in development. End up with a "good drug bad development syndrome". Face expensive CRO and consulting bills, with no additional assurance of success. Be forced to rely on the input from CROs. There is a likelihood that you will be assigned the E Team by the CRO because of inability to tell the difference between an A Team and an E Team. Inability to take the drug to the market in the timeframe promised to investors, analysts, the Board of Directors and patient groups. Inability to manage the expectations of the Board of Directors. Inability to raise funds or to find an appropriate exit. Inability to work effectively wtih major health authorities. Loss of company, job and reputation. I have been in the pharmaceutical industry for many years and have a lot of experience. I don't need to attend the Boot Camp! If only the many years that people have been in the industry would translate into experience, we would not have the current attrition rate in the pharmaceutical industry. Sadly many years in the industry do not denote experience or expertise. Likewise, attendance at many conferences and even courses, will not necessarily improve one's drug development experience level. 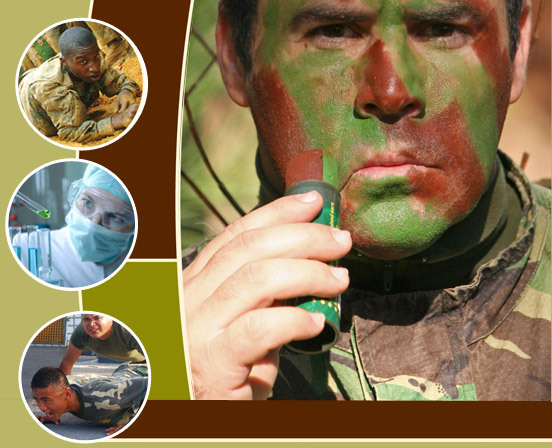 You need the Drug Development Boot Camp®. The unique total immersion, open and interactive atmosphere, promotes hands-on learning, and is quite unique. As with any intensive training process, participants should prepare in advance. All participants are given reading assignments that are relevant for their day to day work. All participants are encouraged to avail themselves of the opportunity to discuss their drug development needs with Dr. Speid. All participants will be asked to complete a detailed questionnaire about their research and/or development experience after registration. Register today and take advantage of this Pre-Boot Camp preparation process. Registration is open immediately. Early registrants are given a sliding scale of discounts the earlier they register. The advantage of early registration is that registrants can benefit from the reading and reflection exercises. These will benefit their day to day research and development activities. Early bird prices are adhered to strictly. The closing date for registration in 2019 is 31 October 2019. If a large pharmaceutical company, a biotechnology company, a university or other institution registers ten participants, one free Scholarship (excluding travel) will be provided to that organization. All participants must be registered at the same time. After registration, funds cannot be refunded for any reason. Substitutions up to two times (for one paid registration) will be permitted up to the 31 October 2019. After the 31 October 2019, no substitutions will be permitted.